Inca Ceremonial Coca Bag. a.d. 1400 - 1532. 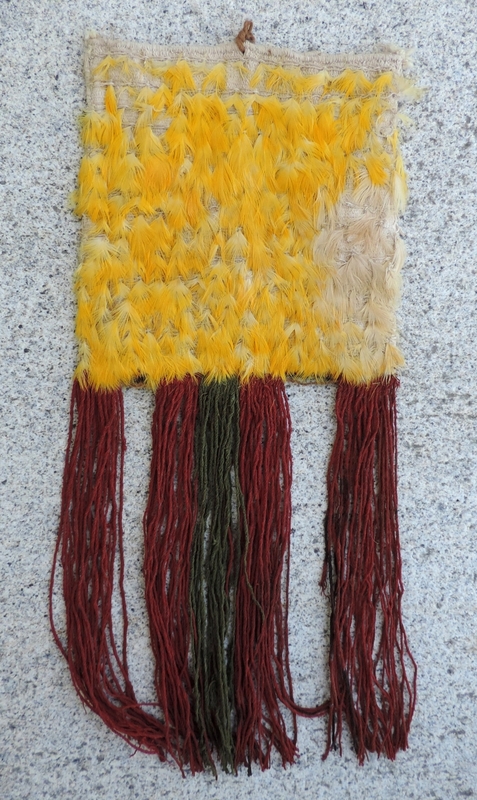 Evidence suggests that a bag such as this could have been used as an offering in elite Inca ceremonies propitulating the mountain deities. It's coloring imitating and emblematic of the sun. 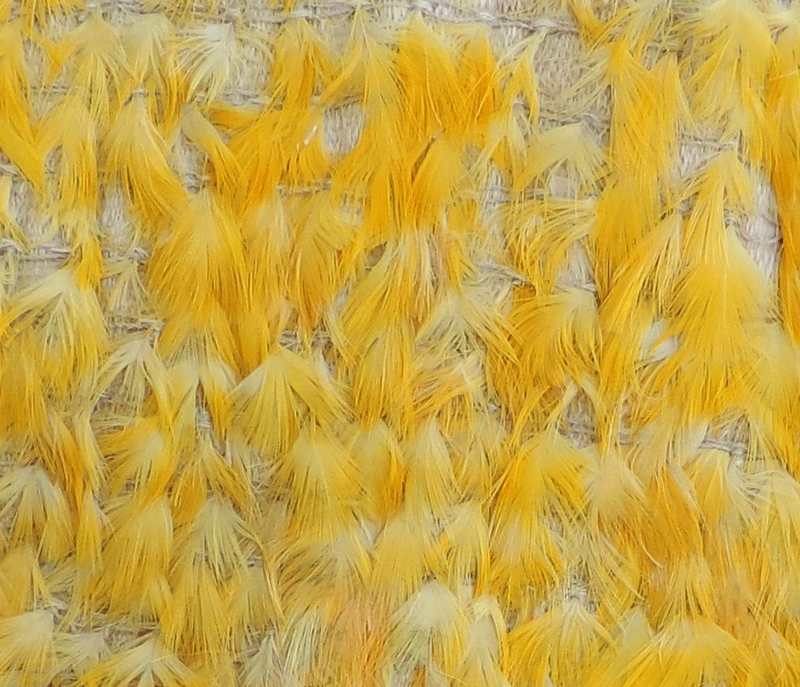 Feathers from the Amazon Basin were valuable commodities in the Pre-Columbian world. They were reserved during Inca times for royal usage or gifted to local officials by the inca for services rendered and would enhance the owners prestige. 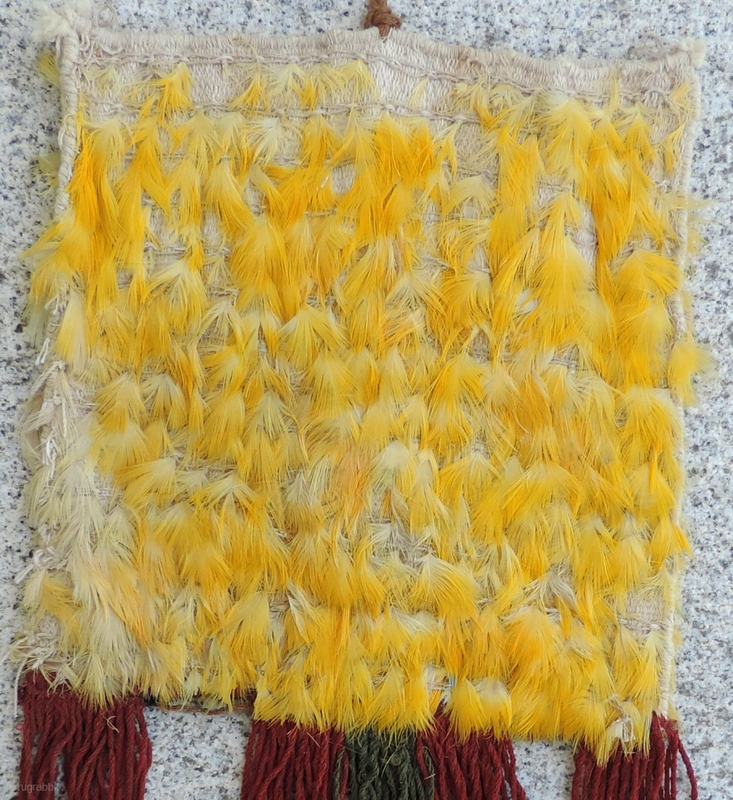 Feathers sewn to both sides of a cotton plain weave bag. All original. Alpaca fiber fringes in red and green. 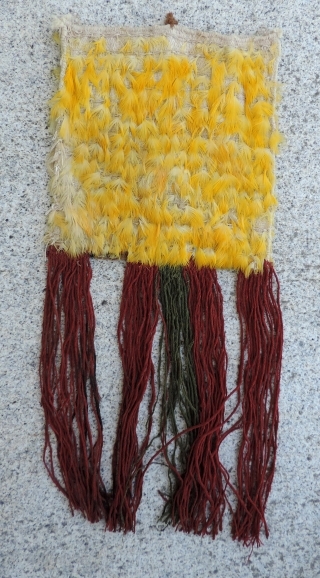 Size: 19 x 8 inches.